Infinix sells their products and accessories globally, with a main focus on delivering high quality electronics such as mobile phones to their consumers. However, they face some challenges in the foreign offline market due to pressures and obstacles from local distributors. With SILK’s help, Infinix looks to dominate the online market in these regions through the development of a strong and reliable eCommerce site on the Magento 2 platform. In order to meet their desired objectives, Infinix turned to SILK to implement a personalized eCommerce strategy that would encompass their offline and online business needs. Taking into consideration Infinix’s diversified promotion requirements and necessities for front-end optimization, SILK put together a customized solution on the Magento 2 platform that would meet all their goals. Different features including Groupon, Flashbuy, and presale were implemented to meet Infinix’s promotional needs. The process for products management on the backend was improved upon, resolving the previous overhead and management pain points that Infinix had been facing. An option for alternative delivery times could also be selected based on the different logistics distribution areas. In addition, the required front-end functionality the company was looking for was able to be presented and implemented on the Magento 2 platform. 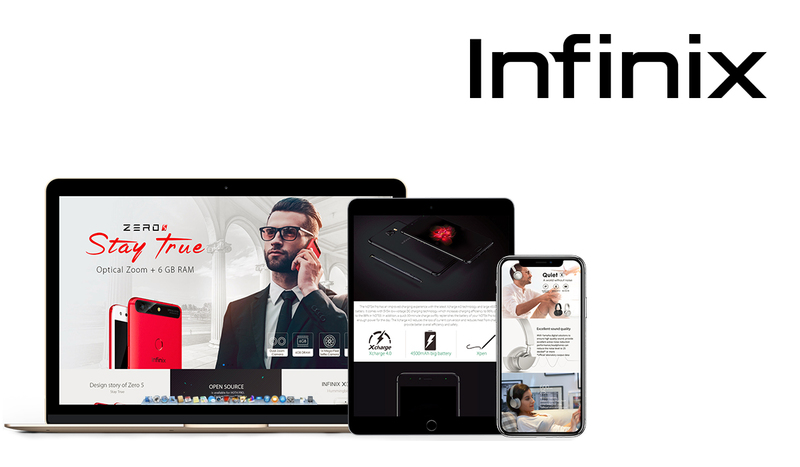 After a successful unveiling of their new eCommerce site on the Magento 2 platform, Infinix has quickly gained a firm foothold in the Egyptian market. Reaching a quick load time of 1.7S and 16 requests, the site shows faster speeds than 95% of sites out there. Launched using headless technology, the site presents a special hybrid between an OS App and mobile responsiveness. Continuing upon its achievements, the company has also started to expand its business into other countries and is enjoying ongoing growth within these new markets.